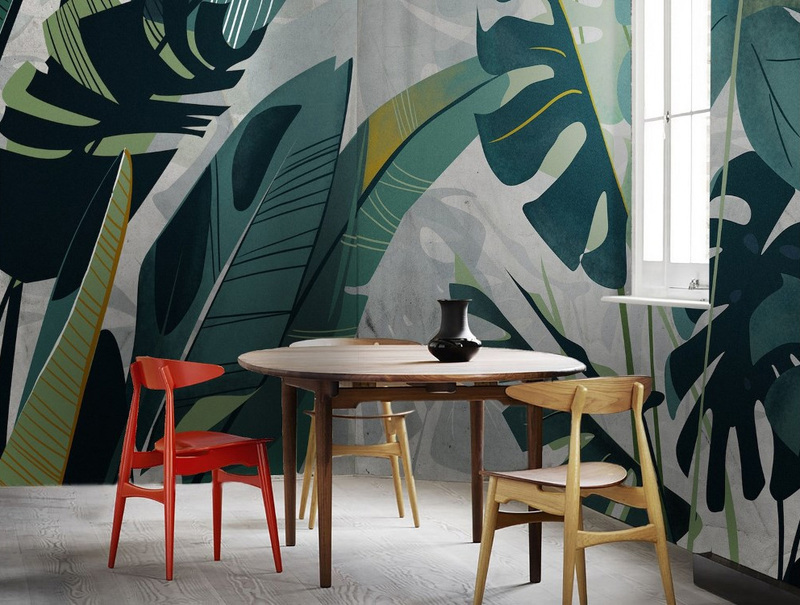 What are the biggest wall finishes trends can we expect to see in 2019? Wall finishes are one of the most important design elements in any commercial or residential interior environment. Those days are gone when a commercial interior designer would put together a color pallet based simply on looks and a style. A large emphasis during design process goes towards psychological, social, environmental and sustainable aspects. More often we ask ourselves, how will this color or materials’ texture make us feel inside this space? Be it a restaurant, a store, a hotel lobby or a room, there are certain positive psychological reactions we want to bring out in our customers. Large print wallpaper or custom graphics. Applying large size prints on walls of any commercial interior will create an instant environment and bring out emotional responses that we as designers are looking for. 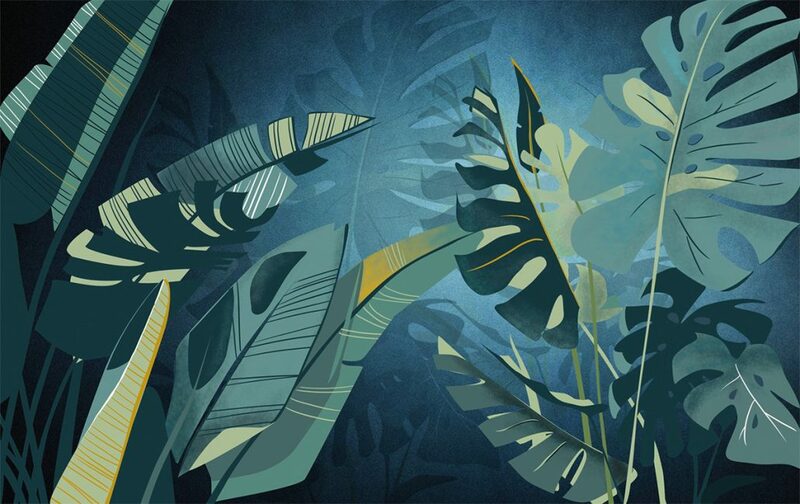 For examples these jungle looking patterns can create a calming effect, a feeling of safety and wonder at the same time. Who wouldn’t want to relax for a few minutes in a Jungle Room? Another great quality of custom wallpaper is the ability to update the same space within a couple of hours. If the old print became too old for your new and refreshed branding, it’s easy to replace it! 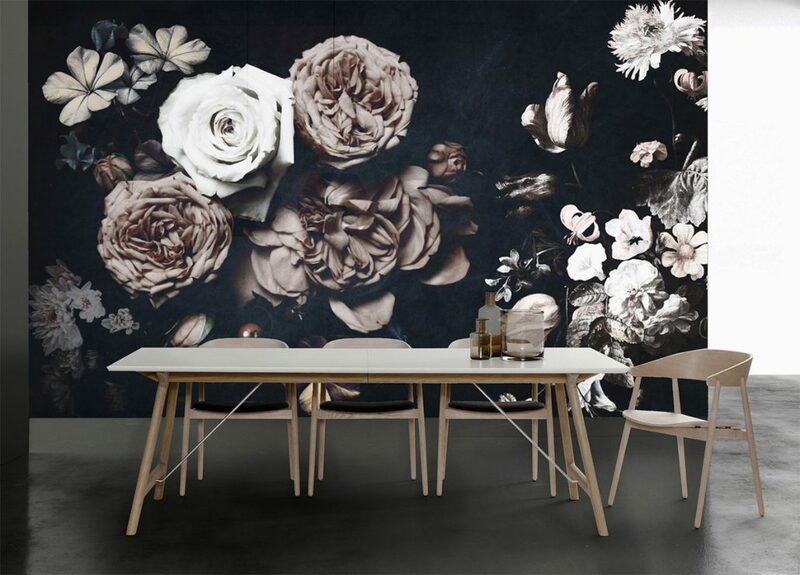 Large size flower prints can add a cozy feeling in any restaurant or a café interior design. It makes any wall look larger and more festive. 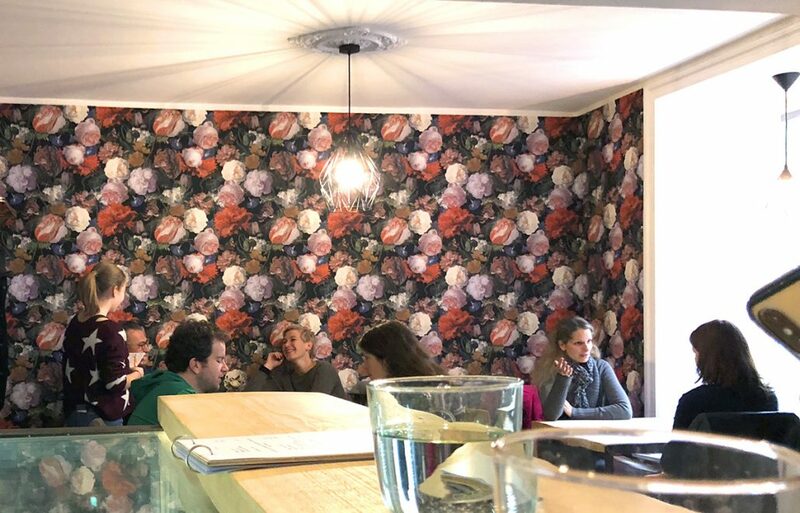 Photo above: large print wallpaper in a cafe in Hamburg, Germany. 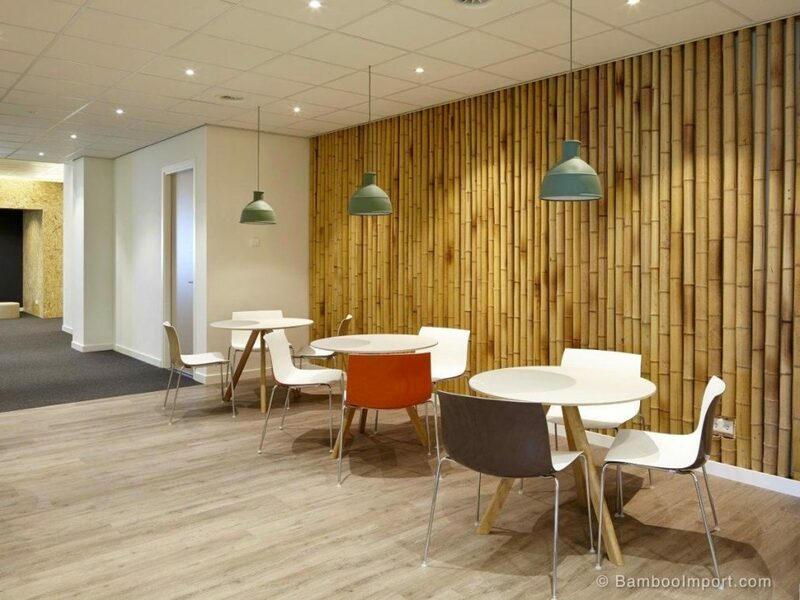 Bamboo has been a number one choice of commercial interior designer for its environmental qualities. It is also very strong and lasts forever and that is just a couple of reasons why we think bamboo wall finish will be trending this year. You don’t have to worry about hitting bamboo walls with furniture or spilling liquids on walls. 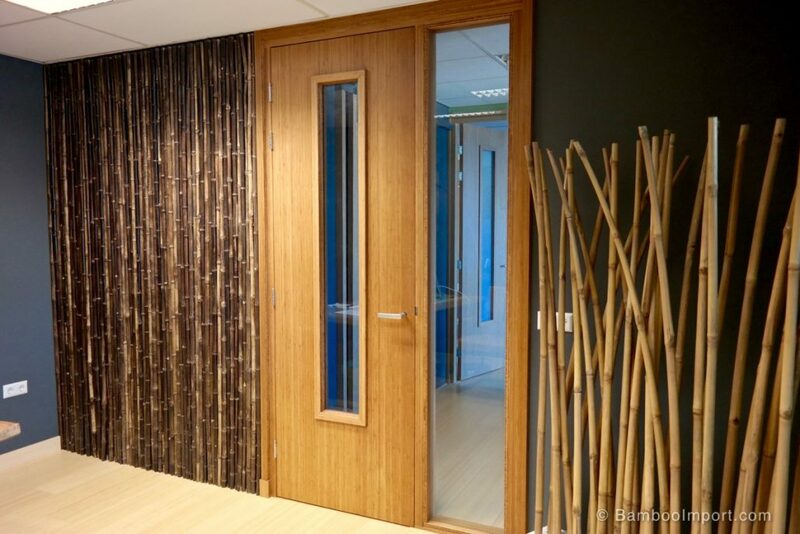 Bamboo walls look very natural and inviting in any commercial interior, from offices to restaurants or stores. 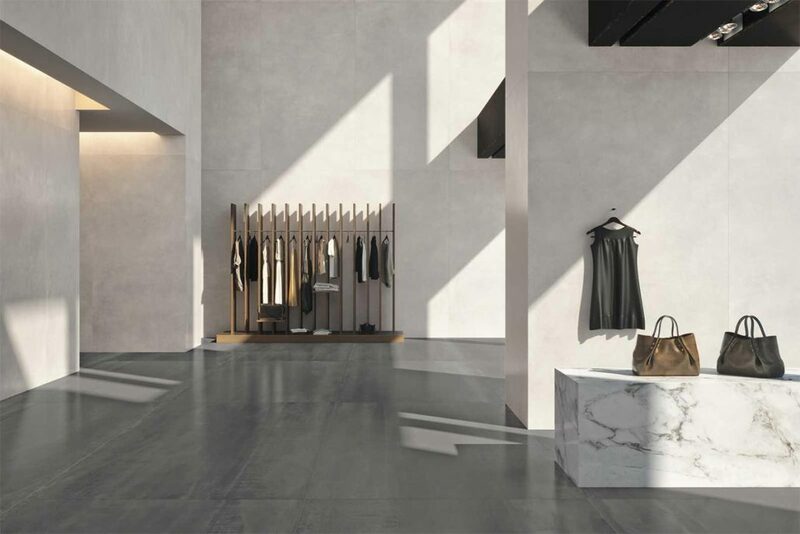 Concrete surfaces create a very modern slick look and have become a favorite material for a lot of modern designers. Concrete finish creates a cool feel and is undeniably ideal for modern, edgy style stores or restaurants. Contemporary interior designers had a dilemma trying to use expensive poured concrete on site until now. 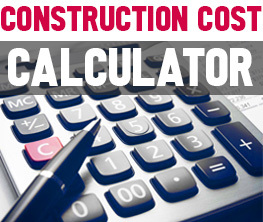 Making concrete is becoming more expensive and the sand used in its production is short of supply. These beautiful large size tiles can be used in place of poured concrete without the mess and the expenses. Slab size concrete tiles come in any color and different sizes, contrasting so well with wood and natural stone. 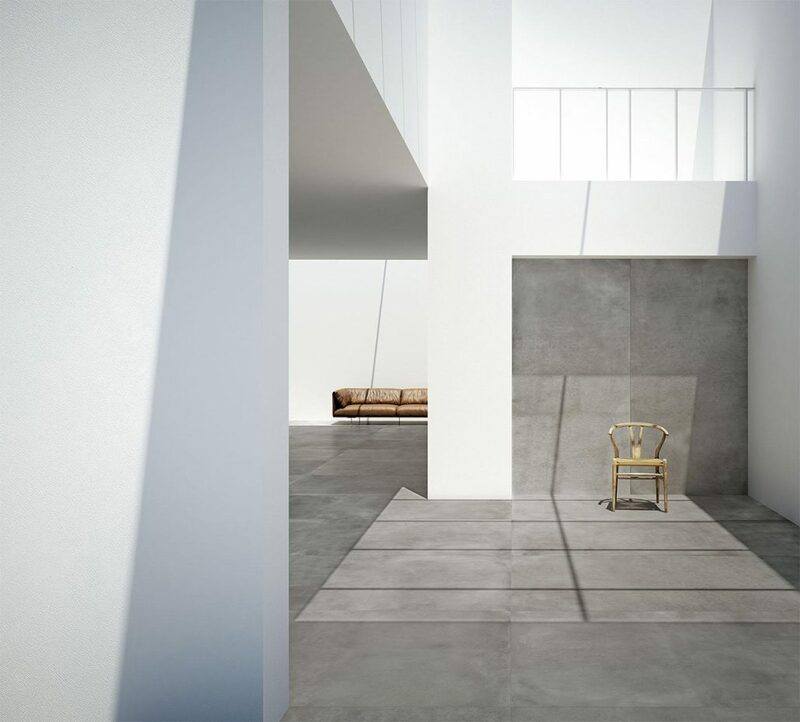 Large size concrete tiles will become another wall finishes trend in 2019. 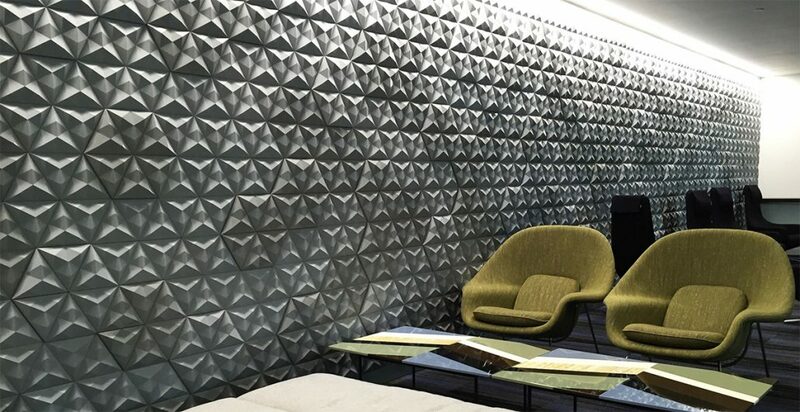 3D wall tiles is not a new wall finish but it’s going to become a more common material this year. It is an ideal way to bring more texture and character to otherwise ordinary spaces. 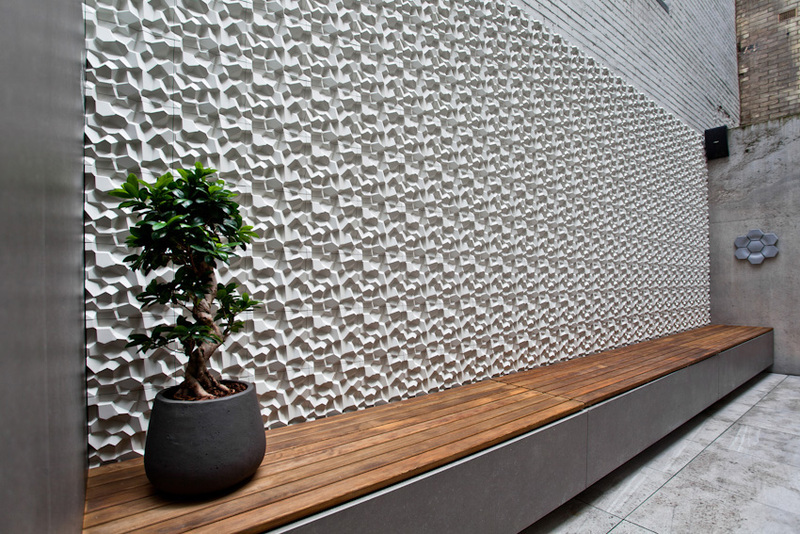 These concrete 3D tiles are ideal in places where the sun or artificial lighting will accent their pattern. A lot of hotels and restaurants started using three dimensional tiles to bring more excitement and life.